I often get complaints from clients about being sore. Statements like “I thought exercise was going to make me feel good, but now I feel worse than ever” are somewhat common with people who are new to exercising. And there’s not too much for me to tell them. The fact is that if you have any designs on changing your body for the better, you are going to spend some time being sore, which can be a scary prospect. But it’s inevitable, so you have to get over this fear. Fact: There is some pain associated with the ultimate pleasure of being fit. Also, if you anticipate, plan, and take the proper steps, you can minimize your muscle soreness. I’ll get to this in a sec, but first, let me tell you a little story — a very short one — that might help you out a bit. When I say we all get sore, I mean all. When I originally wrote this, I was very sore. And I got that way by doing one set of lunges. Yes, that’s right, only one set! I wasn’t out of shape. Quite the contrary, I was cycling harder than I had in years and was a member of the U.S. National Duathlon Team. So by most people’s definition, I was ultra-fit. However, I’d not been doing lunges. I hadn’t done a single one since I finished 10,000 of them over a four-month span the year before. My body wasn’t used to lunges, and whenever you do something physical that you’re not used to, your muscles get sore. What this means is that most of you reading this are going to get sore — maybe really, really sore — somewhere along your road to fitness. But I can help, because I’ve been through every level of soreness possible, from the “ahhh, I’m starting a new program” feeling to the “@#&!, I can’t walk” misery. Here are eight ways to achieve the former statement and avoid the latter, and find out if you should work out if you’re sore. 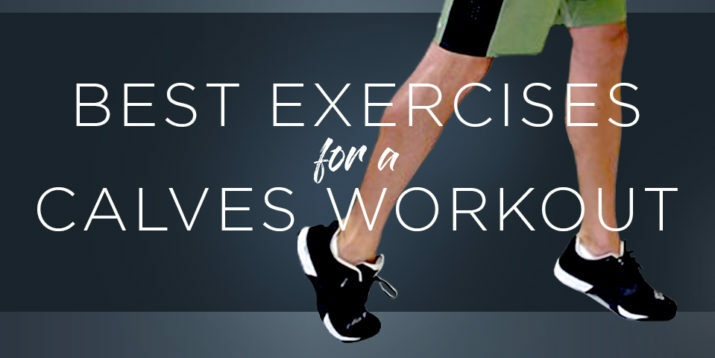 Yes, you heard that right — work out! But take it easy. This is what is called a “recovery workout,” which is aimed at increasing circulation rather than creating micro-tears (or microtrauma) in the muscles, which caused the soreness in the first place. Exercise promotes circulation, which reduces soreness. Sitting around while you’re sore is actually worse for relieving your soreness than doing an easy workout. What you should do is warm up and then do part of your scheduled workout. Maybe do half, or even just a quarter. Use the extra time after the cooldown to stretch and ice. But remember, if it’s only your legs that are sore, you don’t have to go easy on your upper body, and vice versa. Nice try. There are generally two types of pain associated with working out: from muscle soreness or from injury. It’s not always clear which is which, so tread lightly until you know the difference. I’ve had quite a few clients over the years who thought they were injured but simply had muscle soreness. There is no absolute way to tell, but if your soreness lessens as you warm up, there’s a very good chance you’re dealing with just soreness of the muscles. Increasing pain doesn’t necessarily mean you’re injured, but it means you shouldn’t exercise that day. If this pain doesn’t change in a day or two, injury is likely and you should see a professional. Muscle soreness always improves over time. This idea is going to be foreign to many of you, but eventually, you’ll learn that a little soreness means you’ve embarked on something that is good for you. The first time, however, you’re going to have to show a little faith. Whenever I switch up my training, I go through an initial period of soreness. While it’s always bothersome, especially say, when it hurts to take off my shoes or wash my hair, I know that it’s only temporary and that it’s an important step along the road to my goal. So I embrace it. Sure, it hurts. But it hurts in a good way. A great way even. I love the beginning of a new training cycle because I know that once I work through the pain, I’m going to be fitter than before. In fact, when I haven’t had a period of soreness in a while, I start to feel like a slacker. The more time you can spend doing extra stretching at the end of your workout, the better you’ll recover. Don’t stretch your muscles when cold because you’ll risk injuring them. An extra 10 minutes after you work out, however, can do wonders. Also, easy movements and stretches right before bed and again first thing in the morning help your blood circulate better and will also improve your recovery time. Remember that I said I knew I was going to get sore? You will be too! So go easy on your first day. And I mean E-A-S-Y. It’s normal to get excited on Day 1. You just started a fitness program and you’ve had visions of yourself walking down the beach turning heads. This is great, but keep your wits about you. 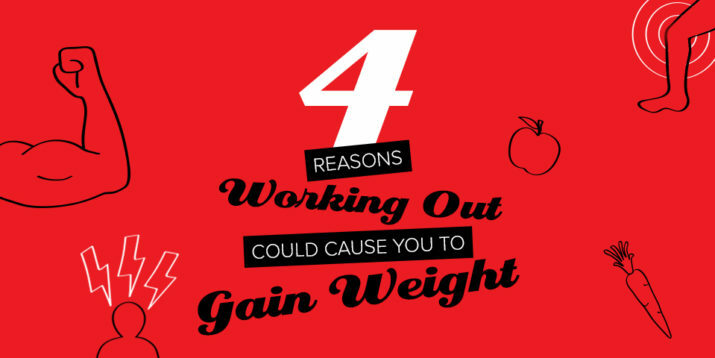 You’re not going to get ripped tomorrow or the next day. Hammering through your first workout could end up delaying your program two weeks while you recover from your exuberance. Instead, start slow. Do much less than you feel like you could. You’ll get sore in any case. Next day, push a bit harder. The following day, a bit harder still. Easing into a program is the best way to make steady progress in your fitness. The more you exercise, the better you need to eat. Junk food won’t fuel your muscles properly. This is especially true if you are trying to lose weight since you’re most likely eating less. So what you do eat becomes vital. The better you eat, the less sore you’ll be. Try to exercise on an empty stomach, and then after your workout, eat a small snack that is approximately four parts carbs to one part protein within an hour of finishing your workout. This will greatly help the recovery process and reduce soreness. You don’t have to go to a masseuse; self-massage is another great tool to aid recovery. The only time you don’t want to massage your muscles is right after you work out because you will interfere with the natural recovery process. But at any other time, such as before heading to sleep, just five minutes of self-massage can help circulation immensely. More on the circulation theme — nothing moves blood around like ice. It causes blood vessels to contract at first, and then open as you get used to it. If you’ve ever watched a locker room interview after a sporting event, you probably noticed a lot of the athletes were icing parts of their body. That’s because it’s one of the greatest recovery aids we have available. Almost all injuries heal quicker if you apply ice. Working out causes micro-tears in the muscles, which are necessary in order to get stronger but cause the pain of soreness. These micro-tears heal faster if you ice them. You can ice any sore body part up to 20 minutes at a time, a few times throughout the day. It’s hard at first, but you get used to it the more you do it.